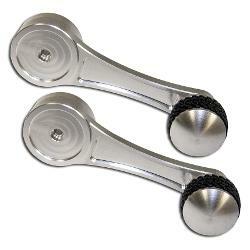 New BILLET ALUMINUM Inner Window Handles with Tire Tread Grip Handles. Sold as a pair and includes mounting screws. 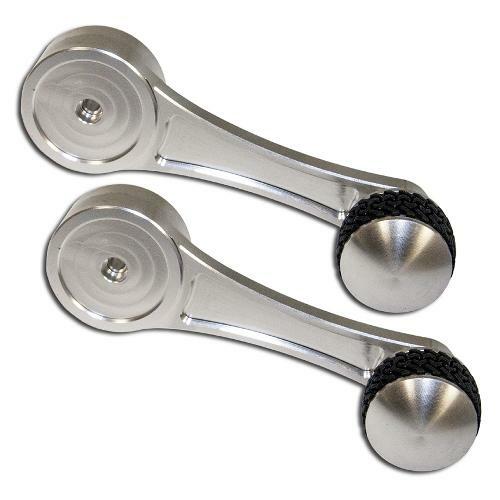 These billet aluminum handles are a great way to add some flash to the interior of your Bronco. Will also fit 1967 to 1972 Ford Trucks. Fits 1967 to 1977 Ford Broncos and 1967 to 1972 Ford Trucks.